Mir st. 62. Corner of Zhukov st. and Mir st. 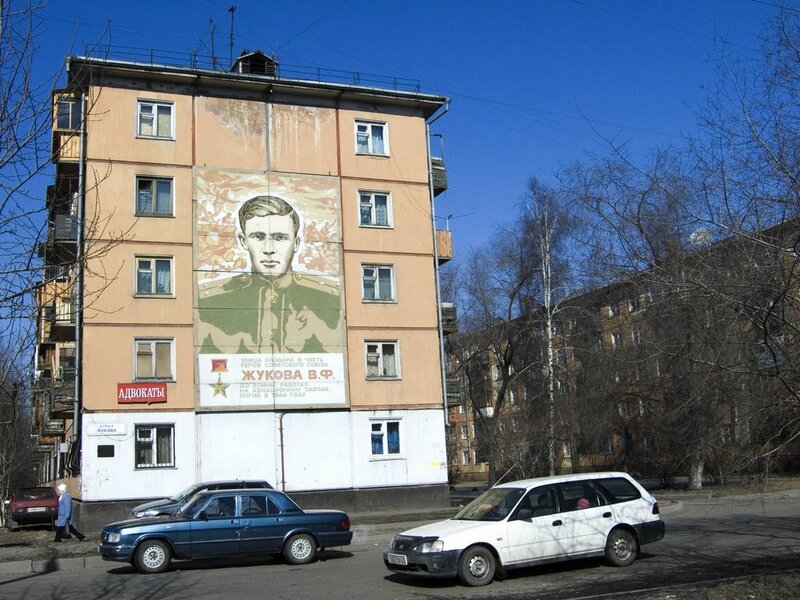 The Inscription on house: "Street is named by name hero soviet union Zhukova V.F. Before war worked at aircraft plant. Perished in 1944"